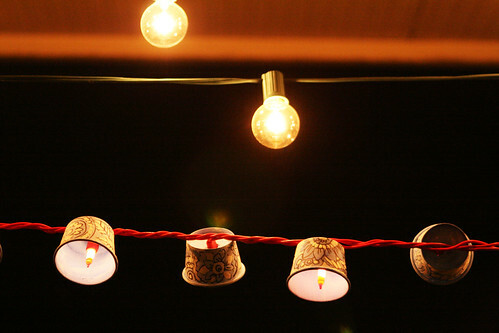 We spend a lot of time grilling, eating and watching the sun set on our deck and for the summer I typically hang all kinds of lights and lanterns for an extra dose of whimsy. I wanted to purchase more lights to hang for the holiday weekend festivities but just couldn't bring myself to pay for something I knew I could make! 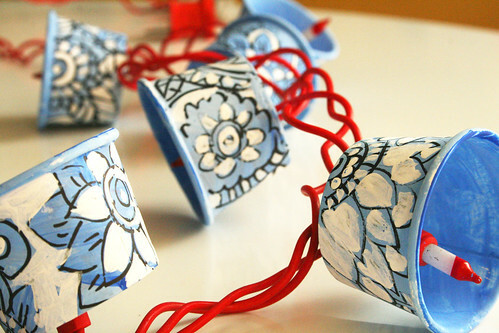 I decided to pull out a string of red Christmas lights and transform a bag of tiny paper cups into a string of lanterns for a little red, white and blue decoration. 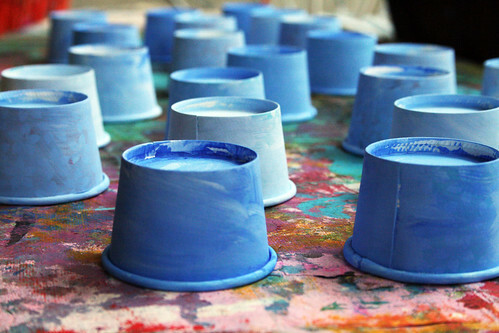 I started by painting the paper cups in a pretty shade of blue. 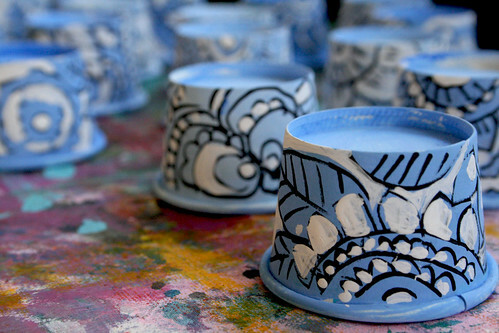 I covered all of the cups with doodles and set aside to dry. 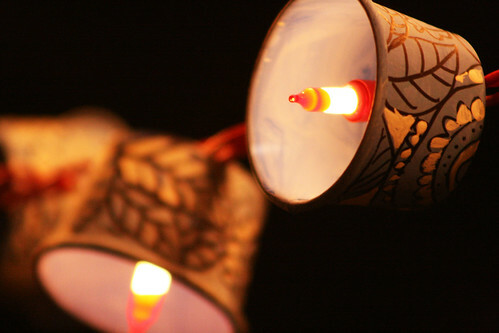 Last, I poked a hole in the bottom of the cups and inserted each of the lights. And there you have it- a little bit of red, white and blue decoration for the holiday weekend entertaining- though I may just leave them up for the rest of the summer! You never cease to amaze me! You are sooooo clever and creative! Oh, fabulous! I love the doodles. Love it! I have to try that! How CUTE!! Thanks for the clever idea! I am continually stunned by your creativity. How does your brain do that? 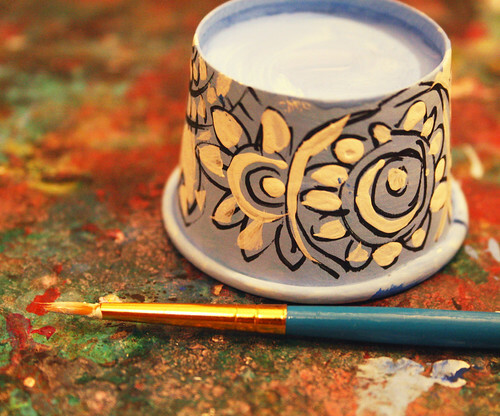 You should have an online class on how to tap into that kind of creativity! These look so pretty! 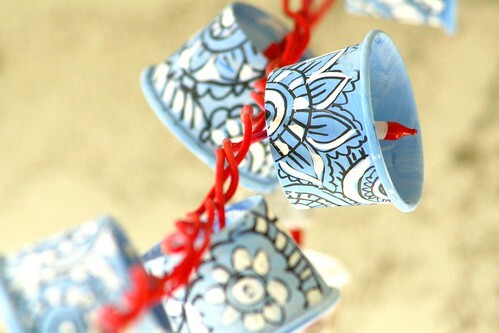 I absolutely love the colors blue and red together and your painted patterns are just gorgeous! 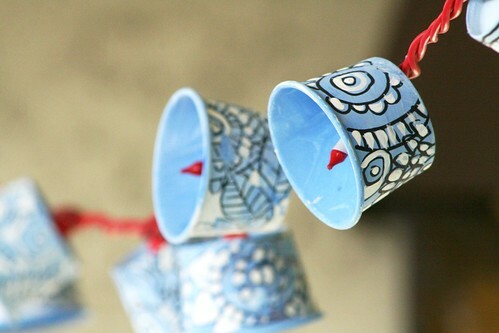 Where did you get these cute little paper cups???? 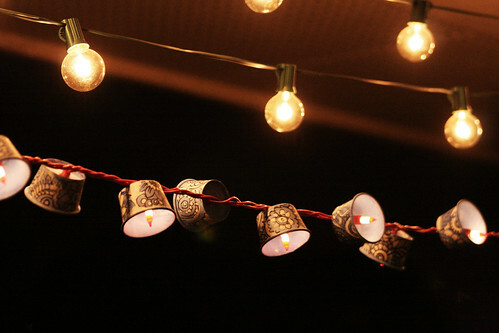 I want to make these! OOH - I just LOVE these! I must make some! Thanks as always!!! 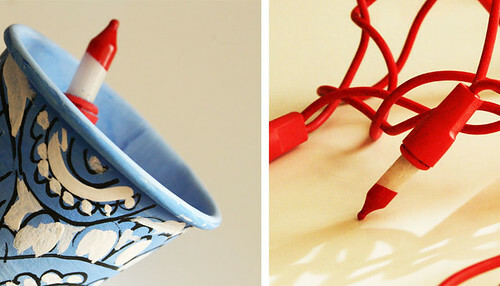 You are so clever - wish I had that kind of creativity! Those are beautiful!!! 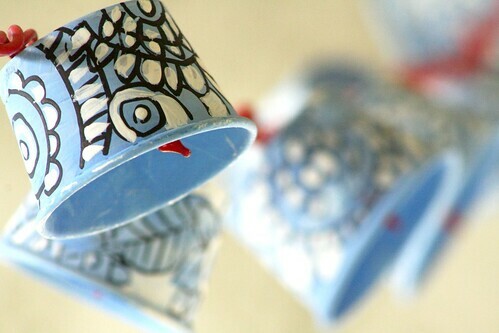 And the paper cups are SO CUTE! i LOVE this idea!! 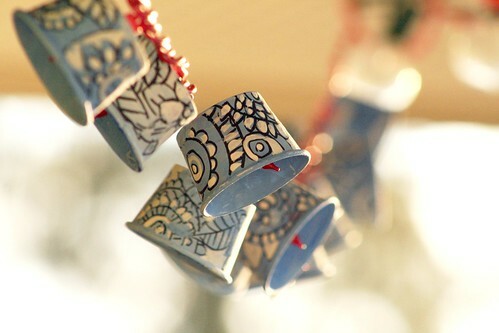 for sure going to be bookmarking you so i can post about this fabulous diy idea later and make them myself one day! Those are so, so pretty Alisa- I love them! You're home must be so beautiful and art filled. 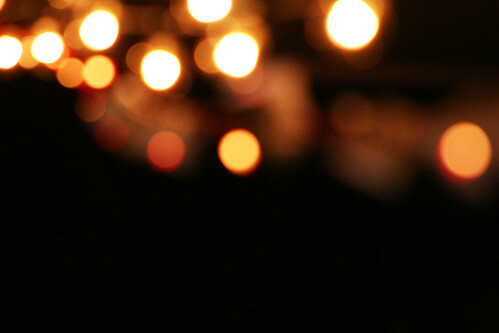 Your photos are some of my favorite. Thanks so much, I'll be linking. Your art & the photo of you on the sidebar remind me of Frida Kahlo - but you're much prettier! You are my new favorite source of inspiration! 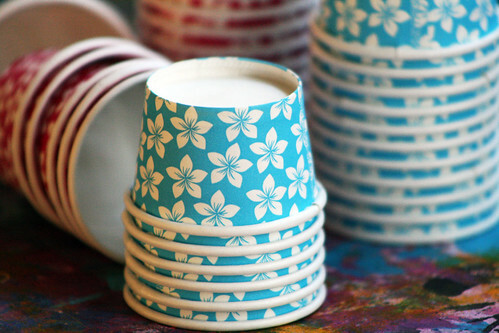 Just love these cups, thanks for sharing! 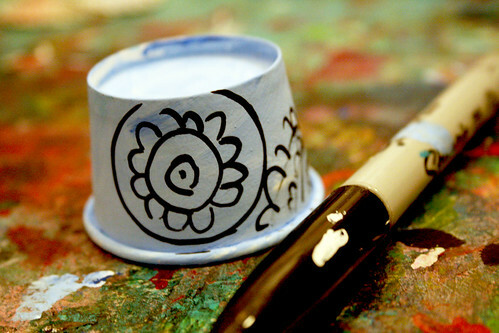 I'm in love with sharpies too.....all the best, and do drop by my international blog linking party if you have a moment! 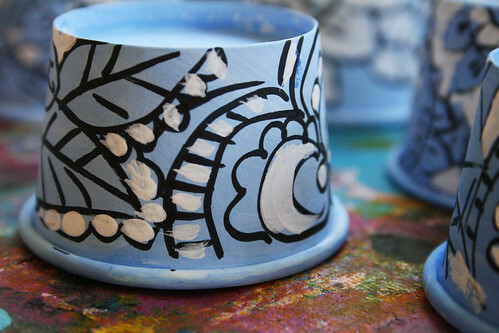 I love this project, please link it up to Sister Sister Sunday! 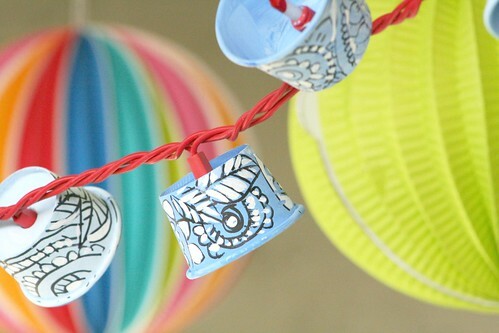 I do a monthly Get Crafty feature, this month's theme being "Summer" and think that these would be a lovely addition. Would love to have you "on board"
What a great idea. I would love to dine on your deck! great, its very beautiful ! !